3 nights for 2 November OR 20% Off 2 nights! Through March, All Holidays Excluded. Welcome to "Beach House Bliss!" A place for relaxation, free of stress, that is quiet and peaceful. You can gaze at the ocean view through the wall of windows or stand on the decks overlooking the beach and waves to see the beauty of Nature at its best! It's why "Beach House Bliss" and Dillon Beach are a favorite vacation get-a-way destination. Enjoy our home not only for the beauty and relaxation, but for the sheer entertainment that Beach House Bliss offers. 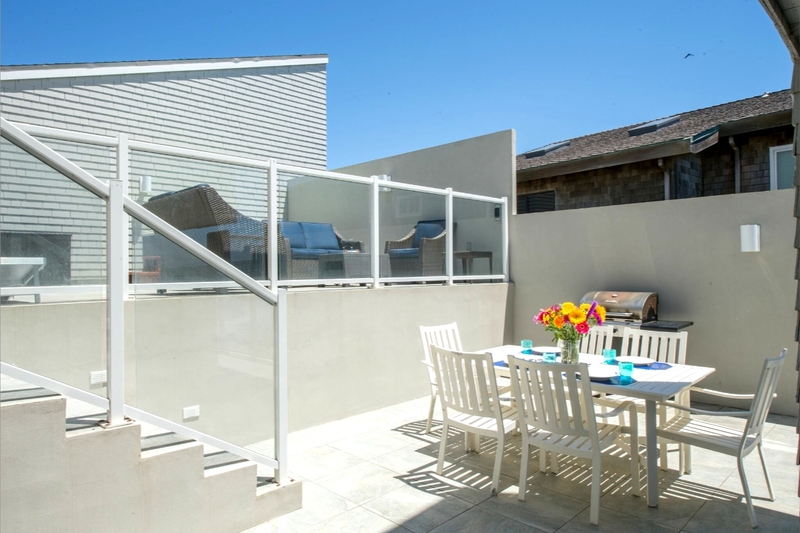 Enter the home through the private entry to a tiled courtyard with outdoor seating and a spa that will transform your stay into the paradise known as "Beach House Bliss". The well equipped kitchen will allow you to prepare gourmet or basic meals for your family and friends. The living room has a wall of windows with sweeping ocean views. There is a sleeper sofa in there as well. The dining area has sliding glass doors that open onto a deck over looking the bluff, beach and Pacific below. The upstairs Loft /Bedroom has a large flat screen TV w/ Direct TV, a Murphy bed and another little sitting deck. 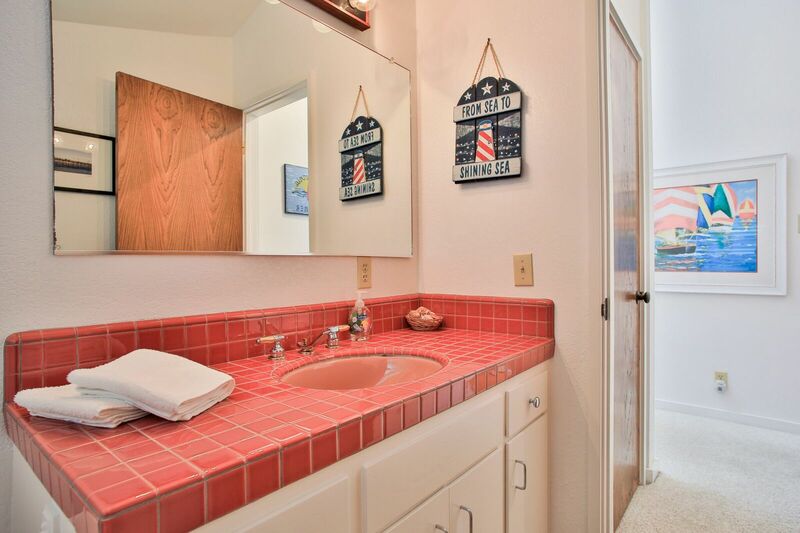 There are 2 spacious bedrooms + private loft bedroom and 2.5 baths in this beach beauty. You will find extra sleeping with a sofa sleeper located in one bedroom and a Murphy bed located in the Family room area. Both bedrooms have small TV's with Blue Ray players. There is free internet Wi-Fi, Google Cast and DIRECTV available for entertainment, as well as, a fully stocked game closet stocked with games, puzzles and books. Ping Pong table! We all love going to the beach to get away from all the stress of everyday life and to feel the sand under our toes. So relax on the decks with a view of the beach and ocean, feeling the warmth of the sun beating down on your skin. And know that if you get too hot you only have to walk a short distance down the trail to the beach and put your feet in the cool ocean. Explore the extensive tide pools on the beach below the house. 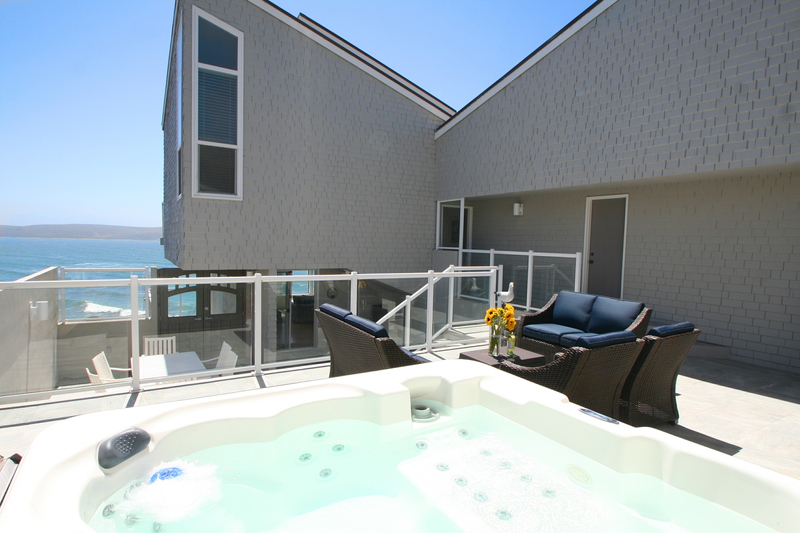 Watch the surfers or kite boarders all from the floor to ceiling windows and expansive tiled decks! After a day at the beach or exploring the surrounding area, you can relax in our spa with a view of the ocean and a spectacular sunset! This home is ECO FRIENDLY with solar panels!! If there is a power outage at the beach, your lights stay on!! Please come and enjoy "Beach House Bliss"! Friendly reminder 10 people Max and 3 cars Max day or night. No exceptions. No pets allowed. No Smoking on Property. No fireplace on property. 3 night for 2 Nov thru April! Holidays Excluded. This place was amazing! The views are breathtaking and for a family it was just amazing. Ping pong, foosball, board games, puzzles, books. We had one rainy day but definitely not sort on options. Also the beach access point is super close and a fun adventure in its own right. What a pleasant experience! 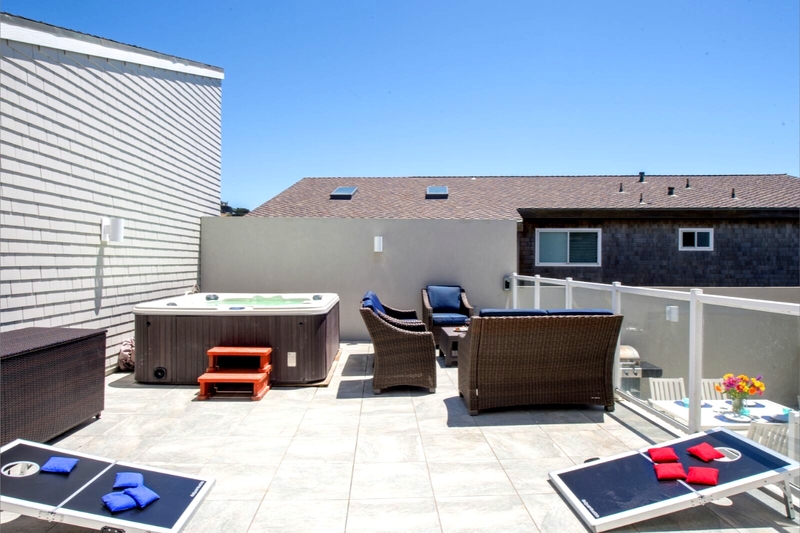 Manager response on 2019-04-01 - Response from Dillon Beach Property Management, Inc.
Best views of Dillion Beach. Captivating views from every window. We spent most of our time together in the Living room playing games and enjoying the view. We love the kitchen table we had all of our meals at the kitchen table then we'd sit visit and admire the views from there. We also enjoying the views from the hot tub. 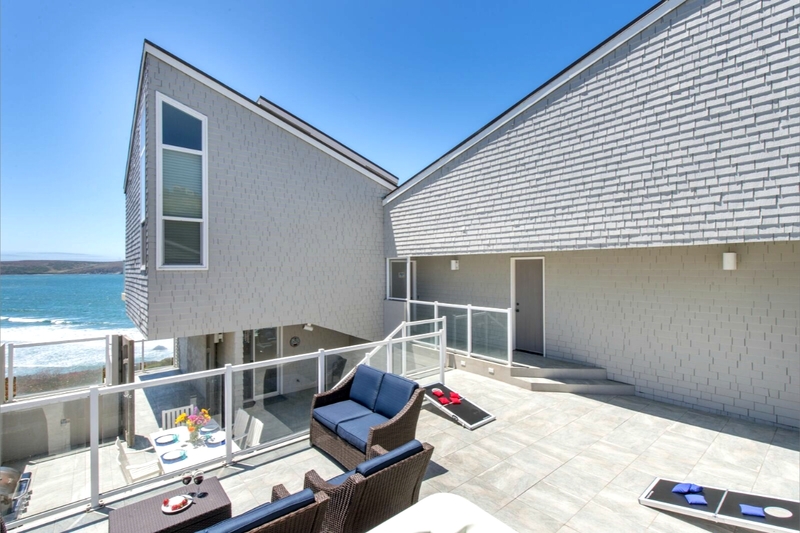 Manager response on 2019-03-26 - Response from Dillon Beach Property Management, Inc. Manager response on 2018-10-25 - Response from Dillon Beach Property Management, Inc. 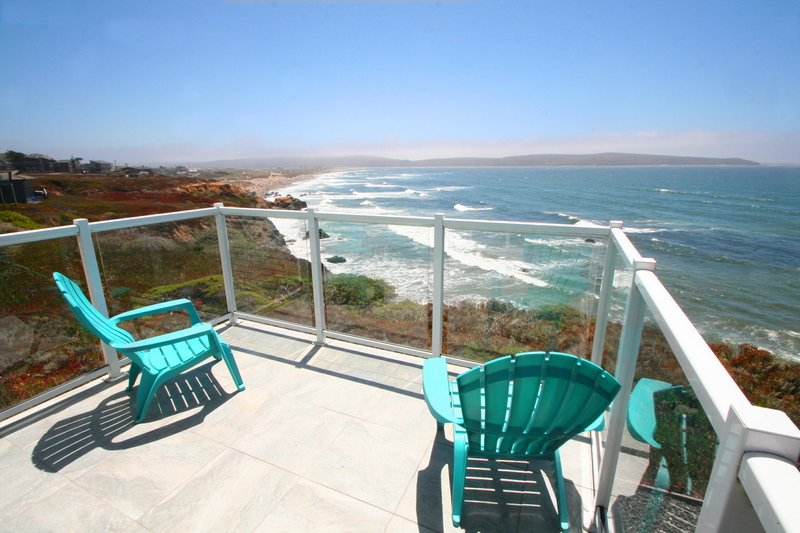 Manager response on 2018-07-14 - Response from Dillon Beach Property Management, Inc.
We loved the Beach House Bliss and began with the balcony looking out at just the right angle to the sand and waves. We all enjoyed the many glass windows, overlooking the beach, where we saw dolphins playing, brown and white pelicans, and lovely waves and sunsets. We played games in the living room, prepared meals in the well-stocked kitchen, and took hot tubs twice. Very special to have that enclosed area outside, the deck, the hot tub, chairs, etc. It felt private and was quiet, which we needed. Walking the beach was refreshing. We liked that very few people were there. We hope to come back! We only wish the fireplace worked.The blue plastic covering it kept falling down--needs to stick better. Manager response on 2018-09-04 - Response from Dillon Beach Property Management, Inc. 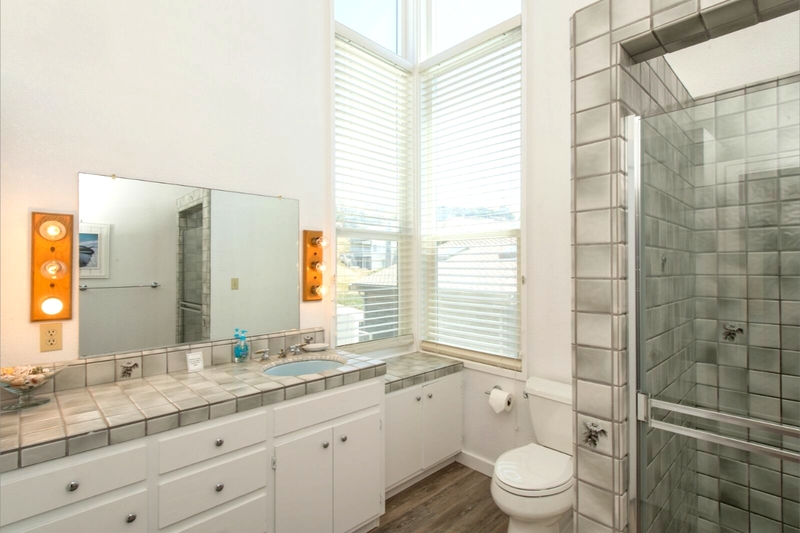 The home was beautiful and clean, with an exceptional view and access to Dillon Beach. Manager response on 2017-05-31 - Response from Dillon Beach Property Management, Inc. The location of this rental was the best I've ever enjoyed. The house was large and very well kept, but what truly made it stand out was its incredible location and view. You get 180 degree views and are within easy walking distance to a trail that leads down to the beach. The neighborhood was quiet and there were a few very nice restaurants within a 20 minute driving distance. The one hiccup of the trip was that we accidentally went over the 4 car parking limit but the hosts were very kind and understanding when they called to notify us and we fixed it quickly. I highly recommend this stay! Perfect house for a beach-vacay! ‘Beach House Bliss’ is a perfect place for a beach retreat - the views are breath taking and setting modernist. 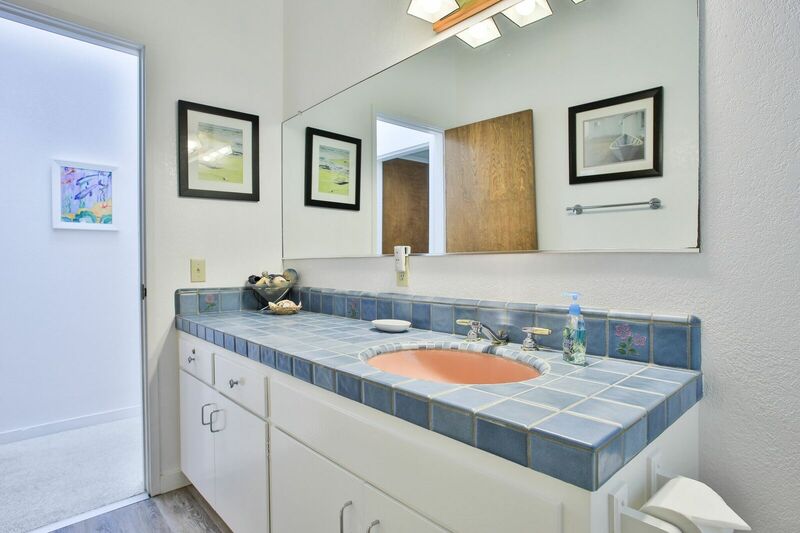 It is very well located, beach is 7-10mins walk and the Dillon beach cafe & general stores are close-by. It is built with comfort in mind, super well maintained and with many details that pleasantly surprise you - a well stocked kitchen & a closet full of board games :) The property management made us feel welcome and well taken care of. I would highly recommend it to anyone who is planning a staycation at the beach or a gathering for close friends and family. We are definitely coming back here!!!! Manager response on 2017-04-06 - Response from Dillon Beach Property Management, Inc.
Could not have been a nicer house and location. Photos did the place justice and our gathering was just what we had hoped for. We had 4 little children and never had to get them in the car, because we could walk right down to the beach below. We arrived with all of our food. Some of the adults went to the fish market in Bodega and brought back fresh clams,oysters, and halibut. Yummm! This is a wonderful, peaceful location. Perfect! Manager response on 2017-06-20 - Response from Dillon Beach Property Management, Inc. The house was so comfortable. The beds were very nice- even the Murphy. The outdoor areas were more spacious than expected. The hot tub was so relaxing. The best part though are the views. Spectacular ocean front property. Manager response on 2017-08-01 - Response from Dillon Beach Property Management, Inc.
A perfect winter beach vacation. We chose this house because it looked like the perfect place to enjoy the beach from inside... gorgeous views in charming rooms and a hot tub. This was all true and wonderful but it turned out to a be a warm Winter week so we got the added bonus of spending lots of great time on the beach... a perfect post holidays recovery. ThNx! Manager response on 2018-01-15 - Response from Dillon Beach Property Management, Inc. Relaxing, peaceful getaway...the views from the main living area are amazing, you can hear the sounds of the waves crashing, just a short walk on a path down to the beach. Overall space is good, comfortable sleeping areas, kitchen space was a little small, but it worked just fine for us! A great place to stay...would definitely consider this beach house again! 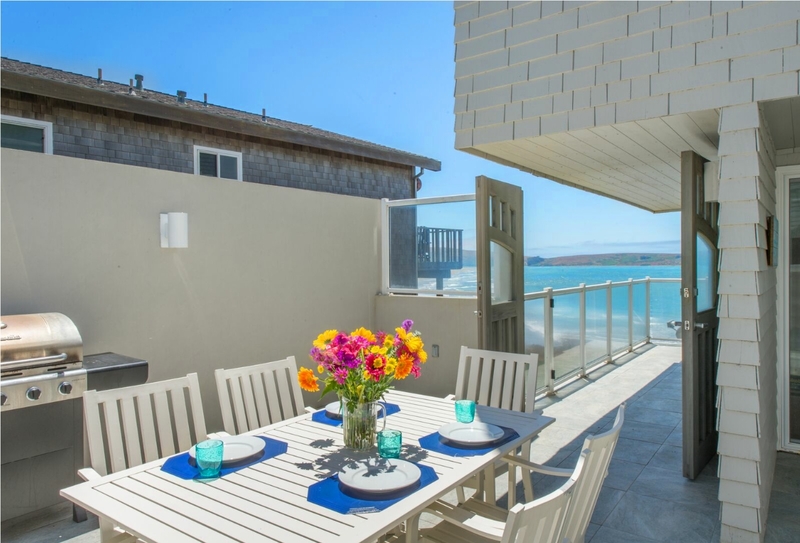 Manager response on 2018-03-11 - Response from Dillon Beach Property Management, Inc.
We had a fabulous stay at Beach House Bliss! The house was everything we were looking for, incredible views, an easy walk to the sand and a comfortable, beautiful home. We will be back. Manager response on 2018-04-19 - Response from Dillon Beach Property Management, Inc.
We have been coming to Dillon Beach the last several years. We always book with because they make it easy, houses are always well taken care of and of course the great views. This home is fantastic, a ton of space for a two bedroom. Really great outdoor space with hot tub and ocean view. Lot's of ocean view from the back deck and honestly, just a wonderful home right by the water. Seriously, you will certainly enjoy. Manager response on 2018-04-03 - Response from Dillon Beach Property Management, Inc.
We loved the home. The location is fantastic, the courtyard area is very spacious and private and the home is well maintained. Manager response on 2016-10-18 - Response from Dillon Beach Property Management, Inc. Manager response on 2016-11-09 - Response from Dillon Beach Property Management, Inc.
We rented Beach House Bliss to spend my wife's 60th birthday with her best friend. The two couples enjoyed our stay. The house was immaculate; the hot tub was clean and delightful; the surroundings were breathtaking. Manager response on 2016-11-15 - Response from Dillon Beach Property Management, Inc. I have stayed at several Dillon Beach properties of the last few years and this is on of my favorites. Really cute and updated property, perfect for a few adults and kids too. You are right near the cliff edge, close to the water. House is clean and well taken care of. Above all is the property management company who will make sure you have a fabulous stay. We'll be back. Manager response on 2017-02-07 - Response from Dillon Beach Property Management, Inc.
We were getting ready to Leave home and received a call from the property management team. They said that they had to change our house at the last minute due to some repairs at the original house. They gave us an upgraded house for the same amount of money. Was ecstatic with the house we were given. Had one minor front door lock issues and they fixed it right away. Manager response on 2017-03-14 - Response from Dillon Beach Property Management, Inc.